More Than Fútbol is a program that was formed in 2008 by Ali Andrzejewski. Ali grew up playing soccer in Baltimore and went on to play professionally and for the US National team. 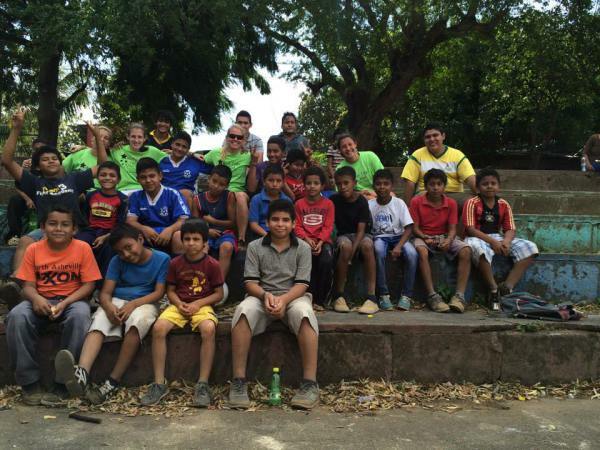 After college, Ali began Champions Soccer Training and, after a mission trip to Nicaragua, she realized that she could introduce a similar program to the youth in Central America. After the inception of this program, a strong foundation was built on the back of many volunteers and contributers to the effort. The growth of this program can be attributed to the strong efforts of the Baltimore-area soccer community. There are many ways to get involved! Organized sports provide a wonderful growth opportunity for youth. Providing this for the children in Nicaragua and Belize elevates the community and helps children develop as people and progress to greater aspirations in life. We provide the annual camp to 20 communities and the year-round programs to 8 communities which will grow to 40 communities by the end of 2017.